One of Android's greatest strengths is the sheer number of devices it is available on. That gives customers the opportunity to choose a desired carrier and handset with the most important features for a them. 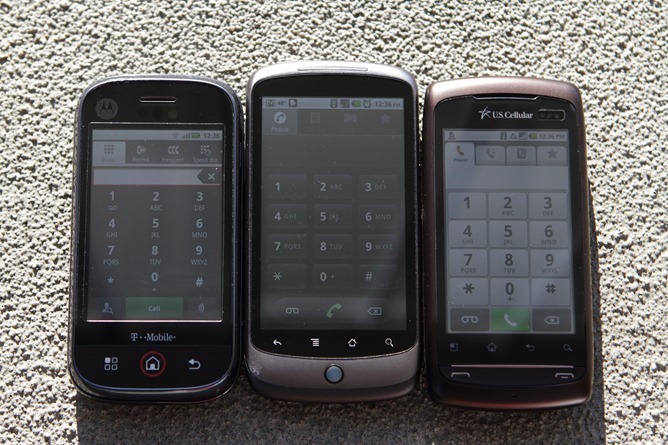 It's easy to forget that not everyone is willing to spend $200 on a new phone, and people transitioning from a feature phone to their first smartphone are often less likely to be looking at those high-end handsets. Fortunately, there are a lot of relatively inexpensive Android devices available, although many of them are clunky and frustrating to use. 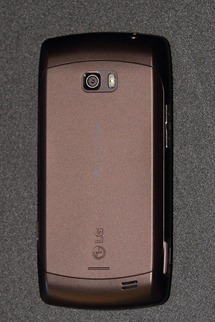 With the LG Apex coming in at just $50 after rebate at US Cellular, it is clearly targeted at people who do not want to spend much, but is it any good? Speaking of gaming, you probably noticed the 600MHz processor and 256MB of RAM.... yeah, performance is disappointing. The UI in general has just a little lag here and there, but it performs slightly better than I expected (given the performance, I would have guessed it had a 700MHz processor). Once you really start taxing it, stutter becomes obvious. Angry Birds is playable, but many of the levels start out feeling just a little laggy before you gain control. For some reason, the second level in Angry Birds Seasons was choppy to the point that it ruined the gameplay and caused the snow to jump around. Still, that's better than the Cliq, which wouldn't even run the first level of Angry Birds fast enough for a sleeping snail. Despite the high-res screen, MiniSquadron picked up that this is not a high-end device and automatically loaded simpler backgrounds and played relatively well with a bit of lagginess during plane rolls. The Cliq handled MiniSquadron a little better, but it has the disadvantage of not registering more than one touch at a time. Each device had a decent download speed over WiFi, with the Nexus One averaging the highest at 7.58Mbps. 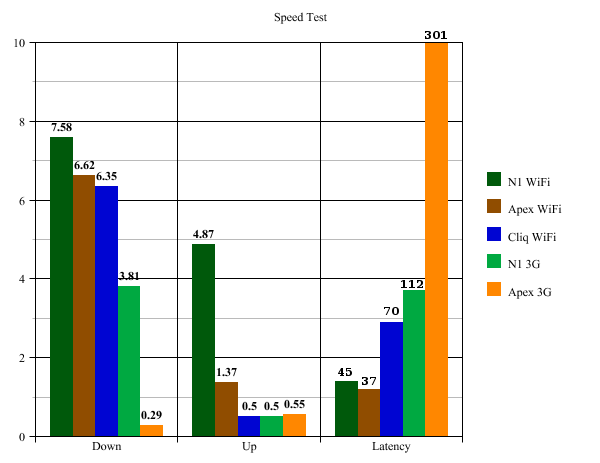 The big shock came with upload speeds, where the Nexus One had nearly four times the Apex's 1.37Mbps (which, in turn, was almost three times higher than the Cliq). The other surprise was the terrible 3G performance. With just .29Mbps down on the Apex, it might have been faster to send thumbdrives via a carrier pigeon. I happened to notice that, as the US Cellular site states, the carrier does not offer service in/around Seattle, where I was testing. This explains the slowness, but I was definitely disappointed by this result, especially since the required data plan for this phone is $30 a month--basically identical to US Cellular's faster competitors. I can only hope that they pay for the use of other carriers' towers around Seattle. 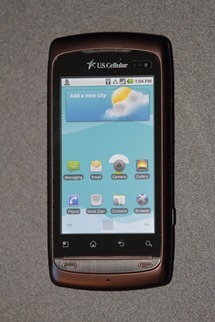 Bottom line: Other than the cell network performance, the phone had no problem with regular use. Standard apps were quick and performed better than I expected, but games were slow. 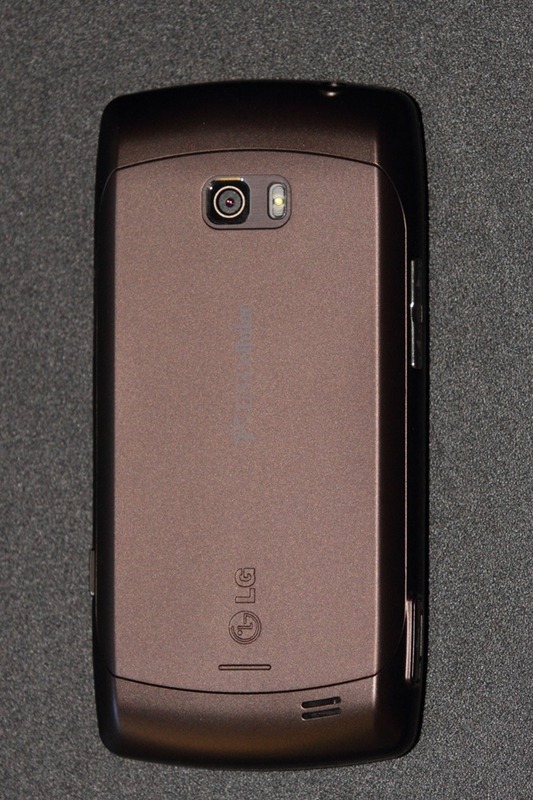 Hopefully LG is working on getting an OS update to this device and the speed improvements of Froyo (and, dare I say it, Gingerbread) will make it to the Apex. For some people, a phone's camera makes or breaks it. Although this phone only has a 3MP camera sensor, anyone who has done any photography at all knows that megapixels equate to size and not to quality. On that note, how is the camera? The good news is that there is a physical camera button. Even better news: it's a two-stage button, so you can push it down halfway to focus and then press down the rest of the way to take the picture. The camera app also has the ability to go into macro mode, letting you take a photo at about 3" from the subject. There is a bit of noise at all ISO levels, and the overall quality is OK - good enough for snapshots but little else. Pre-focusing allows you to take a shot in just under a second after pressing the button. Flare is not well controlled at all, so be aware of bright light sources while taking photos. Obviously, good lighting makes a big difference, and that's even more true for video, which comes out rather dark with this phone. 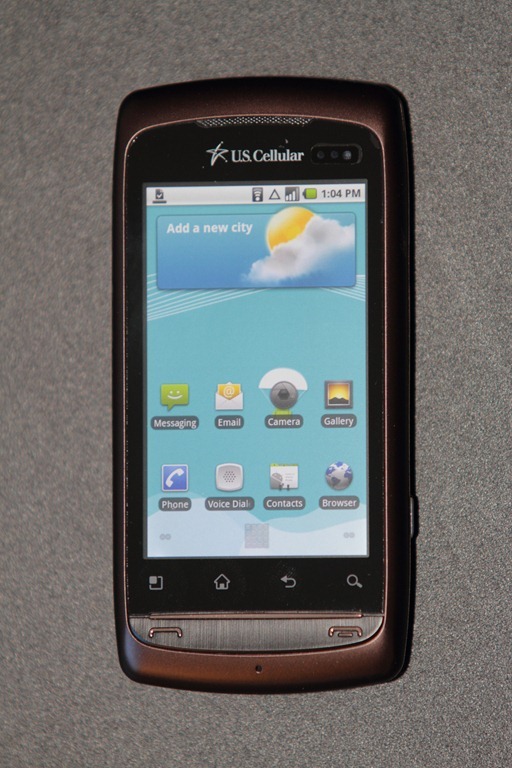 Yes, some people still use their cellphones for making calls, and this device makes it easy to do so with a bottom left button that opens the phone app. The quality was alright, but voices had a bit of static with an almost robotic distortion. It wasn't that bad, though - the quality didn't interfere with my ability to understand what the person on the other end was saying, but the clarity was a fair bit below the Nexus One. One pleasant surprise was the "City ID" app, which identified the city and state for an incoming or outgoing phone number. I also found a spot where I had three bars, so I cupped the phone furiously in both hands, but I could not attenuate the signal enough to decrease to two bars, leaving me to believe that this phone will have a solid signal if you are anywhere within range of a usable tower. The speakerphone speaker can actually get rather loud, though the highest two or three settings started to show obvious distortion. I tested out some music and found that I was generally impressed with the speaker. 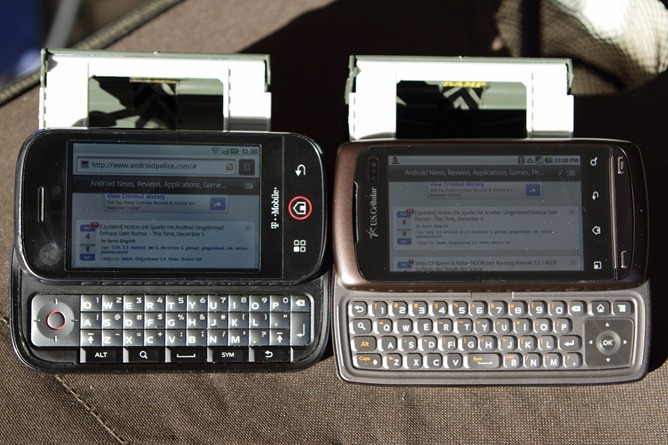 The volume range is nearly identical to the Nexus One, and the quality is only slightly worse. I found it interesting that the speaker is on the back at the bottom. It seems like the top is a more common placement, though I did not have any problems with its location. Obviously, if the phone was just under 50% battery after 20 hours of use, one app could not be using all of it up. I checked this screen again later and found it listing multiple apps as it should, but "Display" was near the bottom of the list, so I don't have much confidence in the phone's ability to report battery usage. When taking a screenshot of the home screen, I noticed that having a live wallpaper running would sometimes cause incorrect drawings (on the captured image, not the device). This issue is not likely to affect many users, but it is interesting. 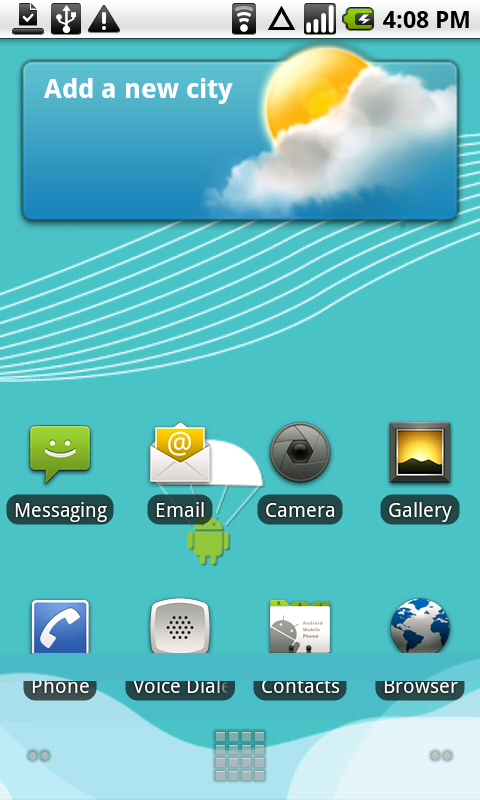 Also, the default date/weather widget takes up an annoying two rows, despite not being very large. The volume buttons switch functions when the phone is held in landscape mode. Suddenly, the top button decreases volume, while the bottom button increases it. I believe this was done to make the buttons match the on-screen volume indicator, but I found it to be slightly awkward. 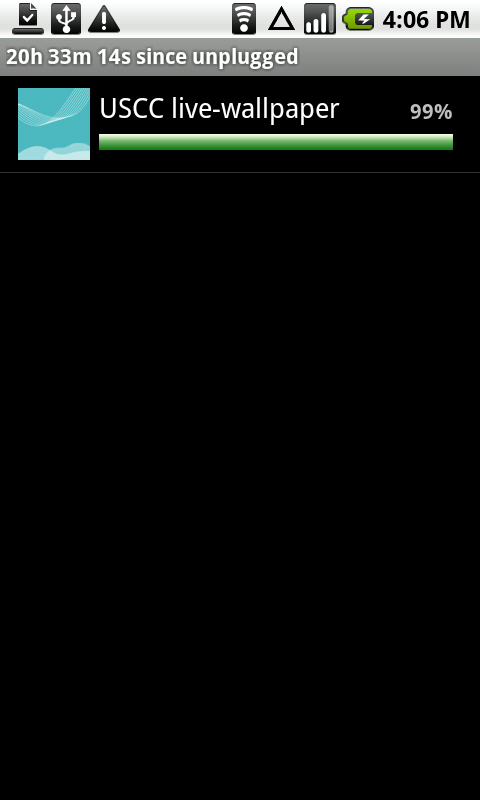 I saw the YouTube app force close randomly twice, even though I wasn't using it either time. This phone will not turn off when it is plugged into a USB port or a power outlet; instead, it will restart. If the phone is off when you plug it in, it will turn on. This phone's GPS is excellent (it has both assisted and simultaneous GPS), far better than my Nexus One's. In my home, it was accurate within 4 meters and it stayed solid during a 45-minute drive away from Seattle, never becoming worse than 10 meters. This was the single greatest surprise during my review. The compass is very accurate as well, so I suspect this device would be great for navigation, assuming you have a good data connection. The Apex also boots to the lock screen in 25 seconds and is usable about 5 after that, which is a bit faster than some phones and certainly a lot speedier than I expected considering the specs of this phone. What can you expect from a low-end Android device? A lot more than you might think at first. Although you are going to need a bit of patience here and there with the UI, you'll be pleased to find that LG has not significantly modified the Android experience (though there are some extra apps included that you probably do not want, like the MySpace app). They include an alternate home application (which they call a "theme"), but it is disabled by default, so you get the standard Android launcher unless you specifically pick the LG UI. Bravo! You won't be playing the latest and greatest games on the LG Apex, but you will be able to do the vast majority of smartphone tasks on a phone with excellent build quality and terrific location tracking. I would recommend this phone to people who are taking the initial dive into smartphones but don't want to spend much money and don't really care about gaming. People who still think "I just want my cell phone to be able to make phone calls" will be pleased with how much more a smartphone can do for around the same price as a feature phone. That said, those determined to have the latest and greatest technology are probably going to want to spend a bit more money and get a higher-end device instead.